Imagine for a moment the ideal garden pool side situation… On a quite evening, the still water glows perfectly in the dark hours of the night, or during a more active moment, the bright light beams dance around the pool as the waves on the surface of the water reflects them. 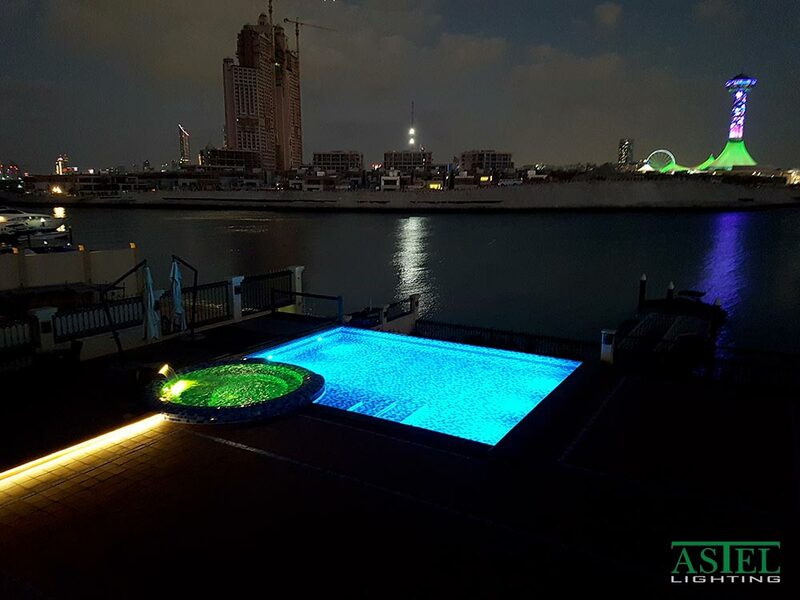 It can be quite a show, with the brightest LED pool lights perfectly aimed and balanced to suit the design of the pool and its surroundings. The elegant light show gives a fine ambience and sooths the moods. Ever wondered how the top resorts and spas are able to create such a wonderful atmosphere around their pools and gardens? With quit simple solutions, these ambience effects can be had in your pool too. With expert advice you will be able to tap into knowledge that will bring you the ultimate in illumination. A big part of the secret sauce is revealed right here, so read further in order to find out. Turn your garden and pool into a heavenly paradise with the exact lightning program that it needs. Finding the right balance can be tricky, as water dims and refracts light beams in a unique way. The size and shape of the pool, the direct surroundings, and the frequency as well as purpose of its use determine a great deal of the factors that need to be taken into account when the whole lightning system is chosen. Dimmable LED lights for the pool may serve as a great solution to serve multiple situations around the baths, but in order to facilitate every type of mood it is recommended to work with modern digital interfaces connected to smart lamps. Inbuilt microprocessors allow for optimal connectivity, so the pool is always perfectly lit according to your command or program. Different types of operating interfaces can be integrated, for maximum ease of use. Anything can be supplied from manual buttons and dimmers, to full digital wireless connectivity with smart devices. A combination of both is often preferred, as it offers maximum ease of access. Most important is to get the colour and intensity right for each moment of the day and night, for the specific situation. The finish of the pool influences the overall theme, and can be highlighted with LED lights. A tile pattern for instance could be highlighted, or minimal illumination may be added to the outline of the pool and stairs. Minimum intrusion of the lamps might be achieved with dimmers, or small LEDs in and around the pool for the most elegant touch of light. Just enough to find your way, and to fully enjoy the stars above. 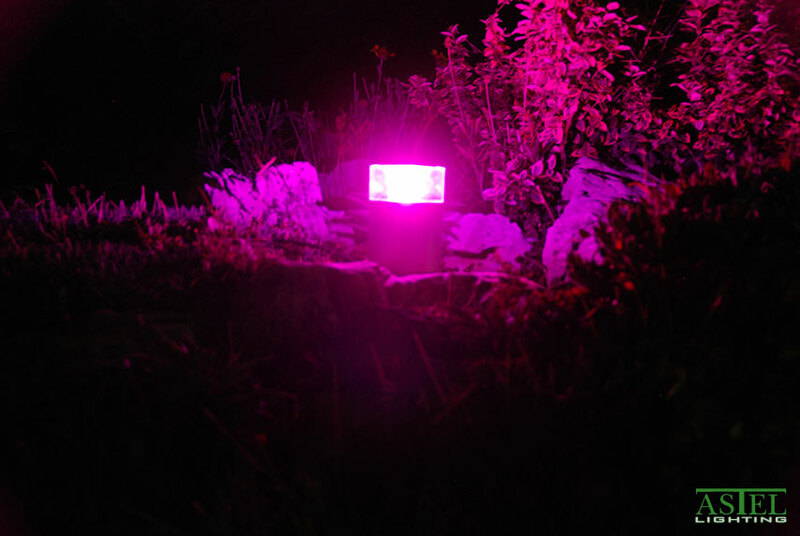 Choosing quality lights will certainly pay off when it comes to under water pool LED lights. Installing the best quality right from the start, will save hugely on the maintenance costs over the long run. As the environment of the swimming pool is rather harsh on most materials, only high grade stainless steel is used for the design of waterproof casings and fixtures. The lenses are made out of super rigid polycarbonate glass of the highest clarity for maximum efficiency and lifespan. A selection of inground pool lights ranging from 6 to 32 LEDs enables you to perfectly adjust to every depth of pool or spa bath. All colours in the rainbow can be recreated by these units, and the ultra-flat design at 10 millimetres makes them easier to install than any other fixture. The production standards and tolerances make for an unmatched quality product, lasting far longer than any lamp ever before. Especially around the water, it is crucial for safety and longevity to go with the right build quality right away from the start, in order to save costs later. Under water pool lights are often considered a must, instead of just a finishing touch. Installing the right type and the rights amount of lights will truly transform the experience around the bathing area into something magical, as the whole ambience can be changed by the press of a button. With the best systems, there is more functions to it then only on and off. Dimmers may be added, highlighters and even full spectrum adjustments can be made with simple commands. The pool can be turned into anything from a complete disco, to a romantic dim candle light if you wish. Everything is possible now with the latest and the greatest in illumination technology, combined with top of the line engineering capacities. With finding the perfect fixture, with exactly the right brightness, intensity and colour of light that your pool needs we are more than glad to assist wherever needed. What is a commercial building without a plan?